College Recruitment Fairs and Workshops for students and parents needing financial assistance. The Asian Community Development Council is hosting the Third Annual College Readiness Bootcamp to be held Saturday, September 29, 2018, at UNLV. ALL families of students in grades 8 – 12 are invited to learn about the resources designed to help their students find, pay for, and choose a right-fit college. Colleges, Universities, and Career Awareness Organizations locally and from across the country will be on hand to discuss college admissions, financial aid and scholarship info, career and technical trade opportunities, and so much more. Register Online and Download HBCU Checklist now. ACT/SAT information and Financial aid information. 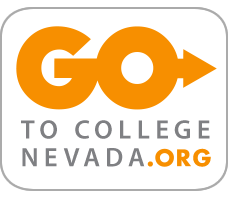 To be eligible for graduation, all juniors must now take Nevada’s new college and career readiness assessment, however, the only requirement is participation. For the current school year, the state Board of Education chose the ACT. A student’s ACT scores will not be used to determine graduation eligibility, but the scores can be submitted with college applications. Nevada juniors will take the ACT Plus Writing, which consists of a 30-minute writing test and 215 multiple-choice questions in four subject areas: English, mathematics, reading and science. All Nevada juniors will take the ACT free of charge. This gives all Nevada students the opportunity to take a nationally recognized college admissions exam. EdReady enables Nevada 11th & 12th graders to test their math skills and receive a customized study path to prepare for college math courses. Prepare for the 2017 ACT exam by completing the Prepare for ACT assessment. To be eligible for graduation, all students must now participate in Nevada’s College and Career Readiness (CCR) assessment in their junior year. Nevada’s CCR assessment was determined by the Nevada the State Board of Education chose the ACT assessment. Students enrolled in a Nevada school on or before the ACT testing date, are required to participate on the ACT for graduation eligibility. A student’s ACT scores will not be used to determine graduation eligibility (only participation is required to be graduation eligible), but they can be submitted with college applications. Federal Student Aid, a part of the U.S. Department of Education, is the largest provider of student financial aid in the nation. At the office of Federal Student Aid, our 1,200 employees help make college education possible for every dedicated mind by providing more than $150 billion in federal grants, loans, and work-study funds each year to more than 13 million students paying for college or career school. We are proud to sponsor millions of American minds pursuing their educational dreams. Federal Student Aid is responsible for managing the student financial assistance programs authorized under Title IV of the Higher Education Act of 1965. These programs provide grants, loans, and work-study funds to students attending college or career school. Completing and submitting the FAFSA® is free and quick, and it gives you access to the largest source of financial aid to pay for college or career school. The Public Education Foundation supports numerous scholarships for a wide range of applicants. All applications must be completed online. Go to the PEF Scholarships webpage. The Clark County School District regularly updates the Current Scholarship listing. This newsletter contains information on a number of scholarships available from various corporations and organizations. Empowering students as lifelong learners is a central goal of The Foundation for Blended and Online Learning. It is their mission to provide graduates of blended and online programs with access to financial support that will allow them the opportunity to achieve their educational goals beyond high school. What makes FBOL’s scholarship program different is the focus on awarding scholarships to students who have demonstrated the ability to embrace technology to improve their educational experiences, both academically and personally. Rising graduates who meet the specific selection criteria outlined by the Foundation’s Scholarship Committee will be considered for one-year, tuition-based awards to four-year universities, community colleges, and accredited vocational programs. Trade schools award vocational certifications, diplomas and degrees in a variety of popular careers. Vocational programs offer courses which can be completed in a few months and may assist you in finding a job. This guide covers important information, current statistics, and useful guidance in finding the right financial support available to various minority groups. The Green Ambassador Program (a partnership between CCSD, the recycling vendors, and other community supporters) is pleased to offer scholarships for up to $1000 each. complete the application and a one-page essay. Information at the link above. Graduate with a diploma from a Nevada public or private high school. Have an overall GPA of 3.25 for all coursework. You may also qualify based on a sufficient SAT or ACT score. You must have been a resident of Nevada for at least two of your high school years. For more information about the Millennium Scholarship, contact your counselor. Learn more at the Nevada State Treasurer Millennium Scholarship Program websites. The RMHC US Scholarship Program is designed to provide financial assistance to eligible graduating high school seniors who face limited access to educational and career opportunities. The School-Community Partnership Program is proud to announce the 12th Annual Drive for Excellence event that will be held on Wednesday, May 23, 2018, from 5:30-7:00 p.m. at Wet’n’Wild. Qualifying seniors will be eligible to win a $3,000, $2,000, $1,000 and two $500 scholarships. Students may also win laptop computers, gift cards and one lucky senior will win a brand new 2017 Chevy Cruze and $1,000 for car insurance. (Congratulations to Ricky Ru, a Spring Valley High School graduate, who was this year’s winner.) Students must be present to win. Applications will be accepted until December 15, 2017 or until 10,000 applications are received. Apply today. To be eligible for the Nevada Promise Scholarship, you must complete the entire program. Full program requirements can be found at www.csn.edu/promise, but a few key criteria are listed below. 1. Be an official resident of Nevada, 20 years of age or younger at graduation, and receive a public/private high school diploma, high school equivalency diploma, or equivalent recognized document. 2. Apply for the scholarship at www.csn.edu/promise by October 31, 2017. 3. Apply for admission to College of Southern Nevada (CSN) at www.csn.edu/apply. Once admitted and subsequently enrolled, you will need to register for and maintain at least 12 college credits per semester. 4. Complete the Free Application for Federal Student Aid (FASFA) online at www.fafsa.gov by April 1, 2018. The FAFSA window opens October 1, 2017. 5. Attend a mandatory information workshop by December 31, 2017. 6. Meet with your assigned mentor by April 30, 2018. Your mentor is investing in your future and is there to provide guidance through the college admission process and help ensure your success. 7. Complete at least 20 hours of community service by April 30, 2018. Once you have received the Nevada Promise Scholarship, 20 additional hours of community service must be completed during each year you attend the College of Southern Nevada. Please note that that these requirements must be completed or the scholarship will be revoked. If you have any questions, please visit www.csn.edu/promise or make an appointment with your high school counselor. Silver State Schools Credit Union will be awarding seven $2,000 scholarships to high school seniors around the valley. The application deadline is Thursday, March 22, 2018. A summer eight-week paid internship with a local nonprofit organization. This internship is designed to provide opportunities for the students to develop and apply leadership skills through hands-on work experience, while raising their awareness of community issues addressed by their partner organization. The week-long, all-expense paid Student Leadership Summit in Washington, D.C. Conducted in partnership with the Close Up Foundation, the Summit introduces students to aspects of civic, social and business leadership and provides them with knowledge and skills they will use throughout their life to create positive community change. American Legion Auxiliary Girls State is a nonpartisan program that teaches young women responsible citizenship. Since the inception of the Girls State program in 1937, nearly one million young people have had the opportunity to learn first-hand how their state and local government works. High school girls, who have completed their Junior year, spend an intensive week of study, working together as self-governing citizens at Auxiliary-sponsored Girls State programs in every state (with the exception of Hawaii). In most cases, expenses associated with attending this program are paid by a sponsoring American Legion Post, a local business or another community-based organization. Participants learn how to participate in the functioning of their state’s government in preparation for their future roles as responsible adult citizens. Two girls are selected from each Girls State program to attend Girls Nation, a national government training program. Girls Nation “senators” meet for a week in Washington, D.C., where they run for political office, campaign for the passage of legislation and possibly meet with state Representatives and Senators. Capping off the week of Girls Nation is oftentimes a meeting with the President of the United States at the White House. American Legion Boys State is among the most respected educational programs of government instruction for high school students. Each participant becomes a part of the operation of his local, county and state government. Boys State has been a program of The American Legion since 1935.